Epistrophy. The AJW’s sixth release focuses on compositions of the great American jazz composer Thelonious Monk, with eleven of his quirky and colorful tunes. 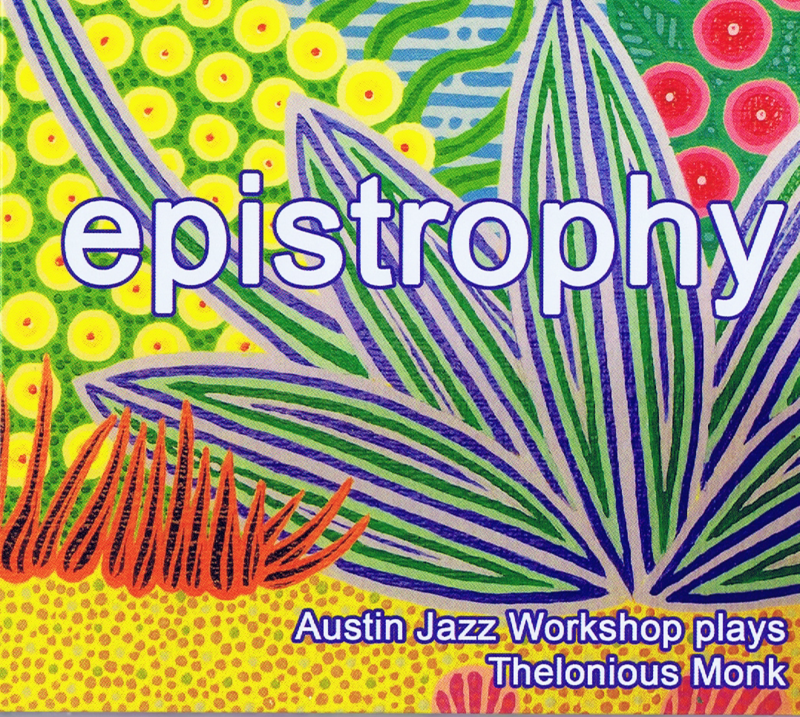 Recorded in January 2017 at Austin’s Arlyn Studios, and featuring the great Andre Hayward on the trombone. 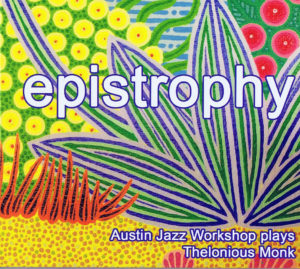 Listen to sound clips from Epistrophy ! Credit card orders processed by PayPal. 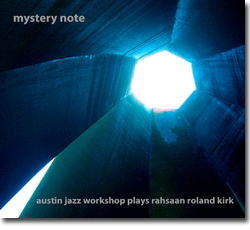 Mystery Note focuses on the music of the great multi-instrumentalist Rahsaan Roland Kirk. Despite being blind from the age of two, Kirk astonished audiences around the world with his ability to perform on three saxophones at the same time. Recorded live at the Texas School for the Blind in May 2009. Listen to sound clips from Mystery Note ! 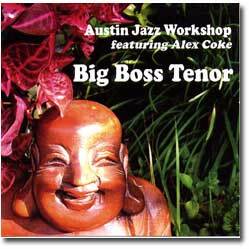 Big Boss Tenor features saxophonists Alex Coke and Michael Melinger performing original tunes arranged specifically for the Austin Jazz Workshop. Also featuring Glenn Rexach on guitar, Ernie Durawa on drums, and five other great musicians from our Tough Texas Tenors season. Listen to sound clips from Big Boss Tenor ! Order Big Boss Tenor now! Credit card orders processed by PayPal. 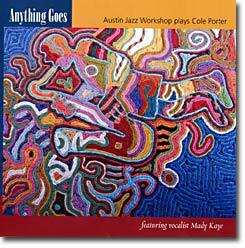 Anything Goes celebrates classic tunes by the legendary Cole Porter. Vocalist Mady Kaye sails through “Night and Day,” “Let’s Do It,” “Just One of Those Things,” and more! Listen to sound clips from Anything Goes! Order Anything Goes now! Credit card orders processed by PayPal. 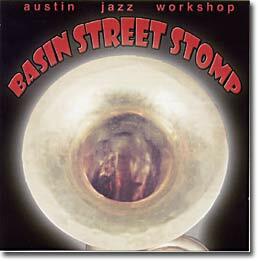 Basin Street Stomp is a New Orleans tribute album featuring tunes like “Maple Leaf Rag,” “Basin Street Blues,” “King Porter Stomp,” “St. Louis Blues,” “High Society,” and more. Four-horn front line with tuba captures the authentic flair of the early New Orleans jazz masters! Listen to sound clips from Basin Street Stomp! Order Basin Street Stomp now! Credit Card orders will be processed by PayPal.